Jared Leto Cast as The Vampire Lestat? Josh Boone, director of The Vampire Chronicles Reboot based on Anne Rice‘s novels, has added Jared Leto to the cast as The Vampire Lestat. Josh Boone posted on his Twitter an image of Jared Leto with the caption “Lestat - there can be only one. #JaredLeto.” Still not sure if this is confirmed yet but so far it seems like Boone would like to get Leto on board with the help of fans. We also have a Twitter post from Anne Rice’s son Christopher Rice preparing fans for more announcements in the upcoming future. I think that Jared Leto as Lestat is a major win and cannot wait for confirmation. Lee Hardcastle delivered an incredible DOOM video just in time for Bethesda’s DOOM release this upcoming May 13, 2016. 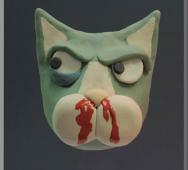 This video is part of Claycat Cinema, and it brings back so many memories. This video must have taken countless hours, and we applaud Hardcastle for making every second count. DOOM releases on XBOX ONE, PS4, and PC this May 13, 2016. More promo news for Koji Shiraishi‘s Sadako vs. Kayako (2016) takes us to Instagram. The monsters from Ju-on (The Grudge) and Ringu (The Ring) have taken to posting on Instagram. Watch below for some hilarious mother and son moments. 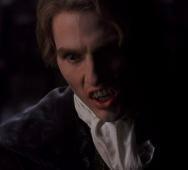 Universal is Making A New INTERVIEW WITH THE VAMPIRE Franchise!? Universal Pictures is pushing forward with their new monster universe, and they are adding a new film adaptation based on Anne Rice‘s Interview with the Vampire. Josh Boone completed the screenplay that is co-written with Jill Killington. Keynotes are that the screenplay was dated April 2016, meaning that the draft was already turned in. The next keynote is that the screenplay is based on both novels “Interview with the Vampire” and “The Vampire Lestat.” The films are being developed as The Vampire Chronicles. 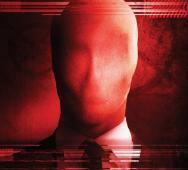 Screen Gems is intent on making a Slender Man film based on the popular modern horror icon/internet meme. 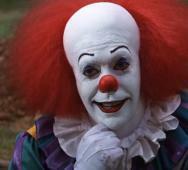 Furthermore, the script is written by David Birke (13 Sins (2014), Gacy (2003)) and is already completed. 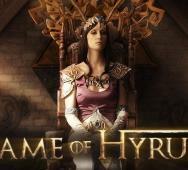 The Screen Gems studio is looking to move forward fast and begin production this Fall 2016 with the expected release date set for 2017. 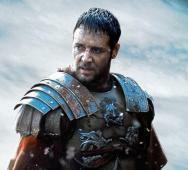 Russell Crowe is in early talks to star in Alex Kurtzman‘s The Mummy (2017) reboot film. Crowe might star as Dr. Jekyll and Mr. Hyde. Crowe could join Tom Cruise, Jake Johnson, Annabelle Wallis, Courtney B. Vance, and Sofia Boutella if this deal goes through. The Mummy is set to release in movie theaters on June 9, 2017. Dr. Jekyll will only appear in the film and not star in the film; Universal plans on introducing the character in his own film thus filling out the Universal Monsters Universe a little more. 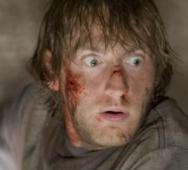 Tom Hardy and Javier Bardem were also in talks to play the role previously. 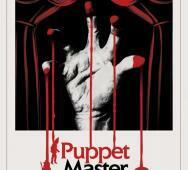 Di Bonaventura Pictures and Caliber Media are pushing forward with their first Puppet Master franchise reboot titled “Puppet Master: The Littles Reich.” I grew up watching the Puppet Master horror franchise at my local movie rental outlet. Bone Tomahawk (2015) writer/director S. Craig Zahler will pen the script for the latest Puppet Master film, the new poster below teases the title and a little fun with the idea of being the Puppet Master. Marvel / Netflix Developing THE PUNISHER Season 1 Confirmed! Officially, Marvel and Netflix announced they would be moving forward with The Punisher Season 1. Jon Bernthal played The Punisher aka Frank Castle on Netflix’s Daredevil Season 2 and will return to reprise his role in his own, The Punisher TV series. 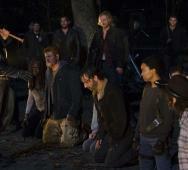 Writer and executive producer Steve Lightfoot will serve as the showrunner. We also included Netflix’s The Punisher Season 1 teaser trailer video below. Warner Bros. Home Entertainment and DC Comics are bringing us the R-rated Batman: The Killing Joke (2016) which is an animated film adaptation of Alan Moore‘s Batman: The Killing Joke. 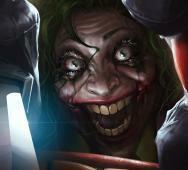 Mark Hamill and Kevin Conroy are confirmed to reprise their roles as The Joker and Batman with Sam Liu directing. Batman: The Killing Joke will premiere at the San Diego Comic-Con 2016. Watch as this lady gets terrified as she plays The Brookhaven Experiment for the first time. The Brookhaven Experiment is a new horror VR game using the Oculus Rift. Check out another video below with a guy playing the game too. What do you think, does it look fun? PREACHER TV Series - 20 New Photos Revealed! 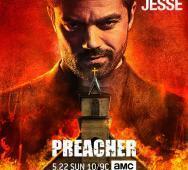 AMC’s Preacher Season 1 premieres this upcoming Sunday, May 22, 2016, at 10:00 pm EST. To tide you over until then here is a massive Preacher photo gallery of 20 new pictures. Garth Ennis and Steve Dillon created the comic book series and Seth Rogen, Evan Goldberg, and Sam Catlin are bringing it to life on AMC. The characters all look as expected, and we are going to love this new TV series! 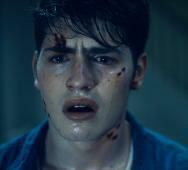 El Rey and Robert Rodriguez released their cast update news for El Rey’s From Dusk Till Dawn Season 3. Tom Savini is among the new cast members of From Dusk Till Dawn: The Series. 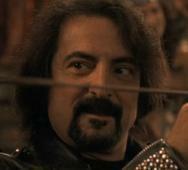 Savini returns to the franchise as a former demon hunter previously known as S*x Machine in From Dusk Till Dawn (1996). Showtime Twin Peaks Season 1 Full Cast List Revealed! David Lynch‘s Twin Peaks revival is coming to Showtime in 2017, and here we have the official Twin Peaks cast list below. Showtime’s Twin Peaks Season 1 will contain 217 cast members in total, awesome! Sony Pictures Pushing GOOSEBUMPS Sequel! 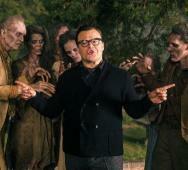 Sony Pictures is officially moving forward with the Goosebumps sequel to Rob Letterman‘s Goosebumps (2015) film. 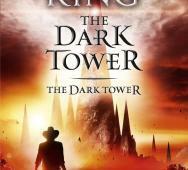 We do not yet know where this new installment will take R.L. Stine (pretty sure Jack Black will reprise his role) but with director Rob Letterman and writer Darren Lemke are returning for the sequel, we are in good hands. Producers Deborah Forte and Neal H. Moritz are also returning. I enjoyed watching Goosebumps with my family, and I would love to see more of what we got there in this sequel. Written and directed by Jordan Pacheco (American Poltergeist), Abyzou: Taker of Children is a proof of concept trailer looks very interesting. 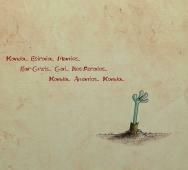 I would watch it and hope that the Kickstarter crowdfunding campaign is successful. Lock It Down Productions and Grimbridge Productions gave us an exciting taste of what can be created. Zeeva Halpern, Topher Hansson, Jamie Lyn Bagley, Sissy O’Hara, Anacaren Delgado, Jaquelyn Fabian, and Jamie Dufault star in Abyzou: Taker of Children. Beat Down Boogie released two videos featuring the cosplay at Emerald City Comicon 2016. If you missed the event altogether or want to recapture the moment, watch these videos below. 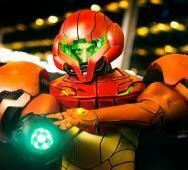 Looking for one of the best Samus Aran Power Suit cosplay then here it is. This is a prime example of an amazing Metroid cosplay costume from Cosplayer Elearia. I can only imagine the amount of time this costume took to create, show some love in the comments. Tim Burton BEETLEJUICE Themed Bar Opening in NYC! 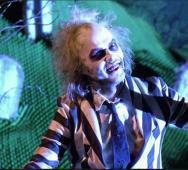 New York City will soon welcome Beetle House, a Tim Burton Beetlejuice-themed bar. While we wait for the sequel to Tim Burton‘s Beetlejuice (1988), we now have this awesome news. Below we have the drink list to give you a feel for the place along with some photos. Ana de Armas recently starred in Eli Roth‘s Knock Knock (2015) with Keanu Reeves and then again with Reeves in Exposed (2016). Blade Runner Sequel news is that she joined the cast of Blade Runner 2 alongside Denis Villeneuve, Ryan Gosling, Harrison Ford, Robin Wright, Dave Bautista via Alcon Entertainment. The Blade Runner Sequel aka (Blade Runner (2017), Blade Runner 2 (2017)) premieres in movie theaters on October 6, 2017. 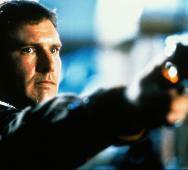 BLADE RUNNER Sequel Release Date in 2017!? Alcon Entertainment has moved up the new Blade Runner movie to release on October 6, 2017. The new Blade Runner sequel lacks an official title, so we are dubbing it Blade Runner (2017) is directed by Denis Villeneuve. The cast so far is Ryan Gosling, Harrison Ford, Robin Wright, and Dave Bautista. Artist JeeHyung Lee has graced us with another impressive piece of art featuring Martha Wayne as The Joker from the Flashpoint alternate universe. This story is one of the darker and more depressing storylines from DC Comics, and this image features this darkness beautifully. 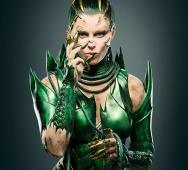 Dean Israelite‘s Power Rangers (2017) is currently filming and thanks to EW, we have a first look at what Elizabeth Banks looks like as the infamous Power Rangers villain Rita Repulsa. Elizabeth Banks as Rita Repulsa will be unlike anything we have seen before in many ways; this new costume looks more reptilian and Dragon-like. Power Rangers releases in movie theaters on March 24, 2017. Naomi Scott and David Denman also star in Power Rangers. Jason Statham is in early talks to star in Jon Turteltaub’s Meg (2017) based on Steve Alten book of the same name. 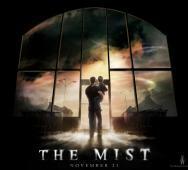 Eli Roth was formerly set to direct the film, but that is another story. Dean Georgaris penned the most recent draft of the script. That is all for Meg right now; we will keep you in the loop as more news is announced. 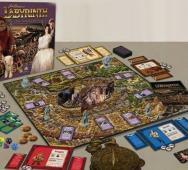 Jim Henson‘s Labyrinth: The Board Game is officially releasing this Summer 2016 based on the Labyrinth (1986) movie. River Horse created a partnership with The Jim Henson Company, full details on what this includes is listed in full details below. M. Night Shyamalan‘s Tales From the Crypt has officially received a 10 episode order from TNT. TNT’s Tales From the Crypt Season 1 will feature a totally “newly reinvented Crypt Keeper” and is a part of TNT’s Horror Block, a multi-series horror programming that Shyamalan is overseeing. 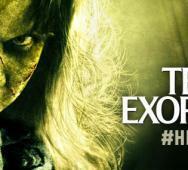 The additional horror TV shows include Time of Death and Creatures, full synopsis details below. It seems that all three shows will premiere at the same time early 2017 on TNT. Sean Hughes is crowdfunding a children’s book titled The Littlest Deadite based on Sam Raimi’s Evil Dead 2 (1987). This book will be a 30-page children’s book for fans and their children. Check out the video below and don’t forget to check out the Kickstarter link below. Marvel Comics and Scott Derrickson‘s Doctor Strange (2016) released a movie trailer recently and Mr. Sunday Morning released his usual Easter Egg and References video. Tell us how many of these references did you catch the first time you watched the trailer. 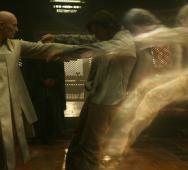 Rachel McAdams, Benedict Cumberbatch, and Tilda Swinton star in Doctor Strange. Here is the first photo of Scarlett Johansson as the cyborg Major in the new live action Ghost in the Shell (2017) movie directed by Rupert Sanders. This live-action film adaptation of the popular manga series releases March 31, 2017, via Paramount Pictures and has officially started production in New Zealand. 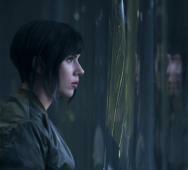 Scarlett Johansson, Michael Pitt, and Michael Wincott star in Ghost in the Shell. 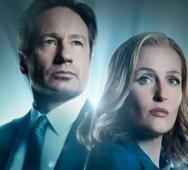 Twentieth Century Fox Home Entertainment announced the Blu-ray/DVD release of Fox’s The X-Files Season 10 Event Series. This release is set for June 14, 2016, with a ton of bonus features attached, all listed below including commentary with David Duchovny and Gillian Anderson. Also set to release on June 14, 2016, is The X-Files - The Complete Series Blu-ray Box Set, which is an updated version of the Blu-ray Collector’s Set including the even series. 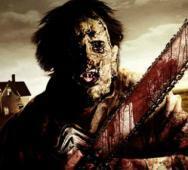 John Carpenter and Greg Nicotero Join HOLLYWOOD HORROR MUSEUM as Board Members! 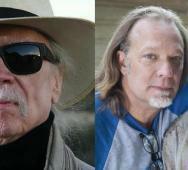 John Carpenter and Greg Nicotero are now board members of the Hollywood Horror Museum. The Hollywood Horror Museum will open permanently open in Los Angeles in 2019. This new horror museum “will include walk-through environmental scenes from films and TV shows, as well as props, life-size replicas, costumes, posters, and art spanning over 100 years of horror.” Sounds cool, more details below in the press release. More horror legends attached include: Clive Barker, Sean S. Cunningham, Joe Dante, Tom Holland, Mick Garris, Sara Karloff (Boris Karloff estate), Tim Lucas, Jennifer Lynch, Victoria Price (Vincent Price estate), Huston Huddleston, Steve Haberman, Mike Hill, Rebekah McKendry, Steve Johnson, Jovanka Vuckovic, Amy Humphries, and Brian Yuzna. 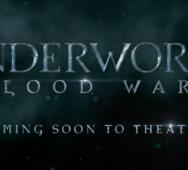 UNDERWORLD BLOOD WARS Announced as Title for Underworld 5! Underworld 5 is now officially titled Underworld Blood Wars (2016) to be released in movie theaters on October 14, 2016, via Lakeshore Entertainment and Screen Gems. Anna Foerster directs Underworld Blood Wars with Kate Beckinsale confirmed to return as Selene. Plot details are still under wraps, but cast details are: Theo James is returning as vampire David as in Underworld: Awakening (2012), Bradley James will portray a villain role, and Charles Dance returns as the Vampire Elder Thomas. 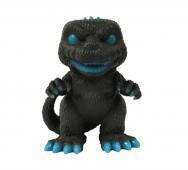 Funko just revealed their exclusive new Godzilla Glow-in-the-Dark Pop! Vinyl Figure. This figure features Atomic Breath Godzilla. Apart of the April Previews catalogue exclusive item is available right now for $24.99, item code APR162788. This Godzilla collectible figure stands at 6” tall.